For Muslim electorate it was a tough situation in Assam. 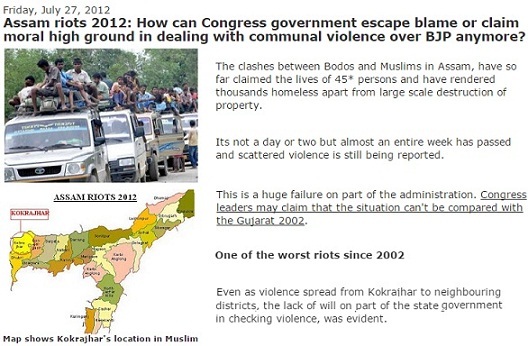 BJP's campaign was being termed as openly communal but how can anyone forget that Tarun Gogoi regime had presided over the worst riots [anti-Muslim massacre] since 2002. Outsiders remember less of Assam but in Bodo areas, lakhs [1.5-3 lakh]of Muslims suffered and had to become refugees in their own country. The official death toll was around 50-60. The loss of property was huge. It was also a fact that Badruddin Ajmal's AIUDF is strong in his pocket borough, the particular region of Assam, but is not in a position to form government on his own. Clearly, Muslims were not enthusiastic about anyone. Choice-less, perhaps. The issue with Muslims is that when they wish to become 'aspirational', there is a massacre or major riot, and they come back to the situation that their basic demand becomes--no riot please, else everything is fine. In Gogoi rule, government acted in a strange manner when BTAD areas were burning. Army was called much later, when situation went out of control. Armed with AK47, legislator was caught on video, but tough action was not taken. Again, BJP seems to be a communal party, openly, but it was under Congress that the worst Nellie massacre in Assam, had also taken place when thousands were killed. For BJP, it will be not an easy task to rule such a sensitive state. 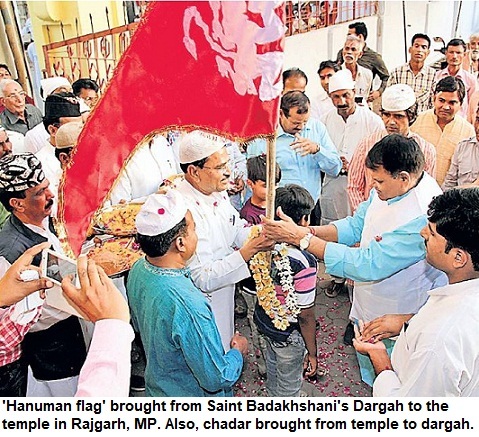 It is a border state and here the food-culture is not in sync with BJP's 'Hindutva' agenda. Hopefully, they'll ensure that there is law-and-order. As far as Congress, it can't learn anything, no lessons from any setback.